In front is Chile`s team, Great Britain is in the middle and the U.S.A. on the right. 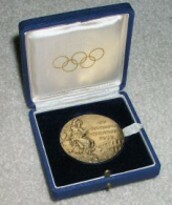 The Prize Medal - design by Professor Cassiola - was the same as in the two preceding Games. 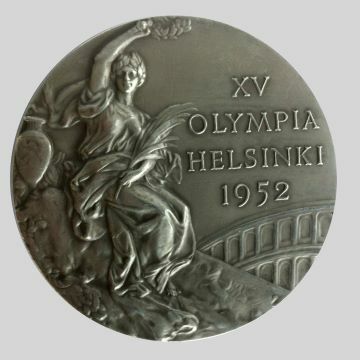 The wording »XV Olympia Helsinki 1952» on the obverse side was designed by the Finnish artist Aukusti Tuhka. 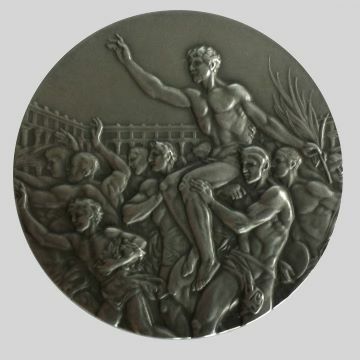 The committee appointed in 1949 to consider the standardisation of medals, emblems and badges had submitted a proposal for a new Prize Medal, but this was rejected by the I.O.C. Congress in 1951. 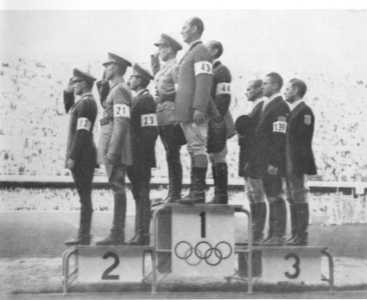 The number of Prize Medals struck was 960 (320 Gold, 320 Silver and 320 Bronze).